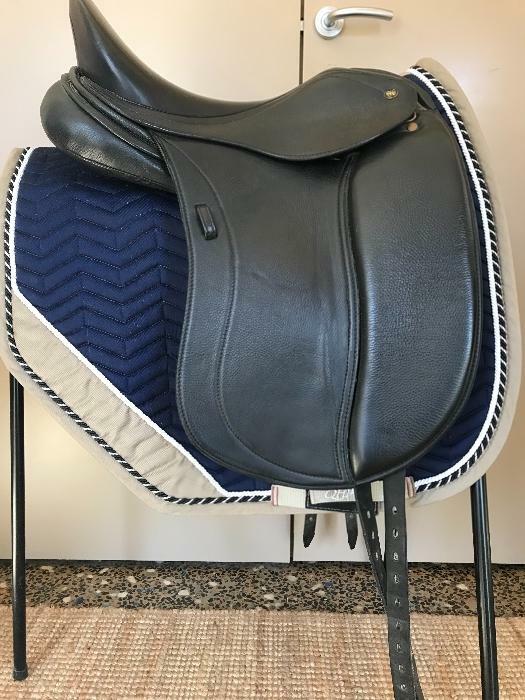 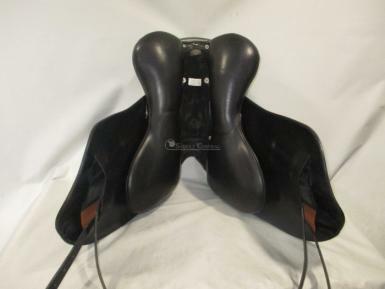 WOW Edge Dressage Saddle size 1 / 17 "
The Wow Edge has been designed to look more like a traditional dressage saddle with a deep seat, narrow twist and large surface mounted thigh blocks and double stirrup bar. 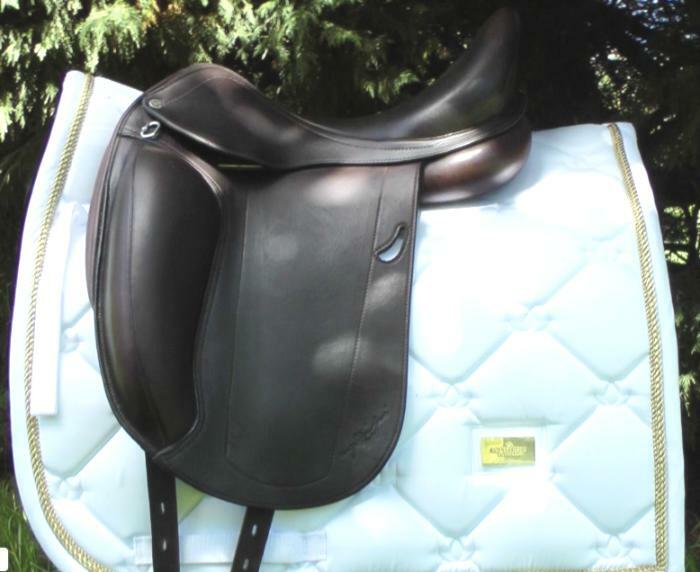 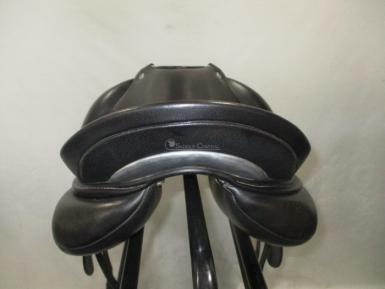 The panels have deep front and rear gussets, tabs and no stitch line, as is it will suit a medium to high wither horse that requires extra fill around the shoulder, It can be refitted to a variety of horses by a very simple head plate change and adjustments to the air. 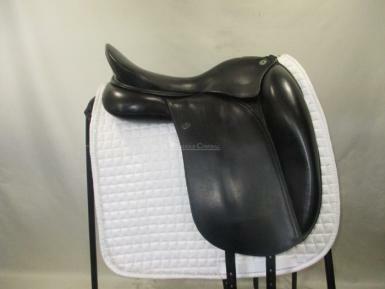 For SA customers the SA WOW saddle fitter is based in Handorf and is available to refit the saddle. 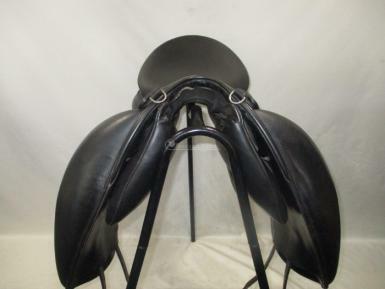 See our seperate listings for the Wow girths, either the H girth or standard girth. 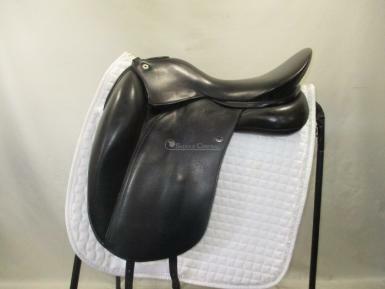 Includes original Wow saddle cover.